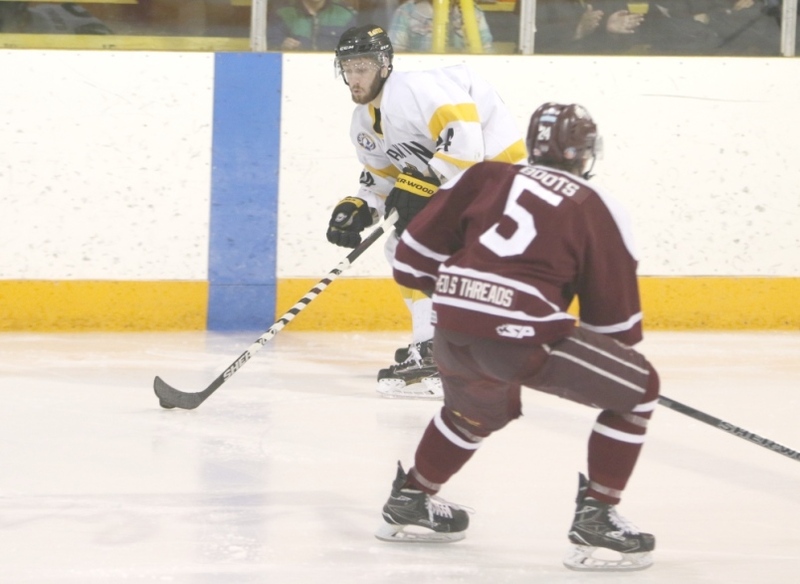 The Flin Flon Bombers 9 game winning streak came to an end against the first place Nipawin Hawks last night. Declan Hobbs was his usual self stopping 38 out of 40 Bomber shots as the Hawks picked up the 4-2 victory. Jake Tremblay opened up the scoring when he was left all alone in front of Bomber starting goalie Gabriel Waked. New defenseman Jack Michel would score his first as a Bomber when he slipped a puck through Hobbs's legs to tie it late in the first. Nipawin poured it on the second and took a 3-1 lead on goals from Carson Erhardt and Jeremy Bisson. For the second straight game the Bombers would have to rally in the third down by multiple goals. The third started well when Ethan Daniels connected on a tic tac toe passing play from Caleb Franklin and Calvon Boots. Daniels has looked like his old self since suiting up for the Bombers the last three games after missing most of the season. Daniels has 3 points in 3 games since coming back. Down 3-2 late in the third and with the goalie pulled, the Bombers couldn't solve Hobbs and the Hawks put the icing on the cake with a late goal from Michael Makarenko with just over a minute remaining. Gabriel Waked took the loss stopping 35 out of 39 Hawk shots and did play well including a couple of break away stops in the third period. It was a great run with 9 straight wins and the Bombers will try to start a new winning streak this Friday when they host Notre Dame. This was a big win for Nipawin who have beaten Flin Flon in 4 out of the 5 meetings and have opened up a 7 point lead for first overall. The Bombers do have two games in hand. because Kindersley is first in their division while Yorkton leads theirs. We will not have the broadcast of Friday's game against Notre Dame, but we will head to Melfort on Saturday for another key Sherwood Division match up. The broadcast begins with the Great North GM Coach's Show at 7:10. The Bombers have won all three head to head meetings with the Mustangs so far.